Many investors understand why they should invest in real estate for the long-term. Income-producing real estate can create a reliable stream of cash flow, sometimes requiring very little maintenance from the investor. The trouble comes when trying to determine the best way to invest in real estate. When looking at real estate investing options, most non-high-net-worth investors consider rental properties and REITs. Each option carries its own set of advantages and disadvantages, which suit some investors more than others. Here, we examine the pros and cons of rental properties and REITs, plus other factors that would behoove investors to consider before choosing how to invest in real estate. Rental property investments can be lucrative opportunities for those interested in taking a more active role in their real estate investments. They can generate monthly cash flow in addition to longer-term appreciation. They also offer the benefit of direct ownership, which presents tax advantages, and the potential for personal net worth growth. But, with these benefits comes myriad ongoing landlord responsibilities that require constant, hands-on attention. Regular cash flow: Rental properties offer a steady and reliable monthly cash flow in the form of rental income. Unlike public market investments, which can fluctuate not only every day, but every second of the day, a landlord has the peace of mind of their lease, which dictates an agreed upon amount of rent expected from tenants at the beginning of each month. Just as two heads are better than one, two income streams are better than one. Multiple income streams provide additional diversification, reducing risk and potentially increasing income. Asset appreciation: In addition to monthly payments from tenants, rental properties can earn money through appreciation. Property ownership gives the investor direct benefits in the form of equity. If a property appreciates, or increases in value, its potential profit for the investor upon sale also increases. Tax deductions: Rental property owners can deduct from their taxes the majority of expenses that they incur in managing the property. Some examples include legal fees, insurance premiums, taxes and maintenance costs paid in operating the property. While you can’t deduct the costs of property improvements in a single year on your income tax returns, it is possible to report the ways you improve the property and then depreciate the costs over your property’s life expectancy. So, when you add value to the property in the form of landscaping or new countertops in order get a higher monthly rent, you can depreciate the costs over several years. With each deduction, you lower your net income and potentially lower the amount of taxes that you will owe annually. Also, if you sell a rental property and buy another one under a 1031 Exchange you can defer capital gain taxes. This can preserve your buying power and strengthen your ability to buy a higher-priced property. Freedom and Flexibility: You are in charge and get to make all of the calls on your investment. You are able to determine how much to charge in your property lease, what renovations to make and when, who to work with, and the property’s eventual resell cost and sales timing. However, accompanying this freedom are responsibility and pressure to make the right calls. Extensive Expertise: Before you buy the property, you need to assess the viability of the investment. This means that you need the financial and real estate expertise required to determine the expected occupancy rate, monthly rental income, operational costs, and potential upfront renovation costs; plus the initial man hours required from you and/or your employees to prep the property for tenants. 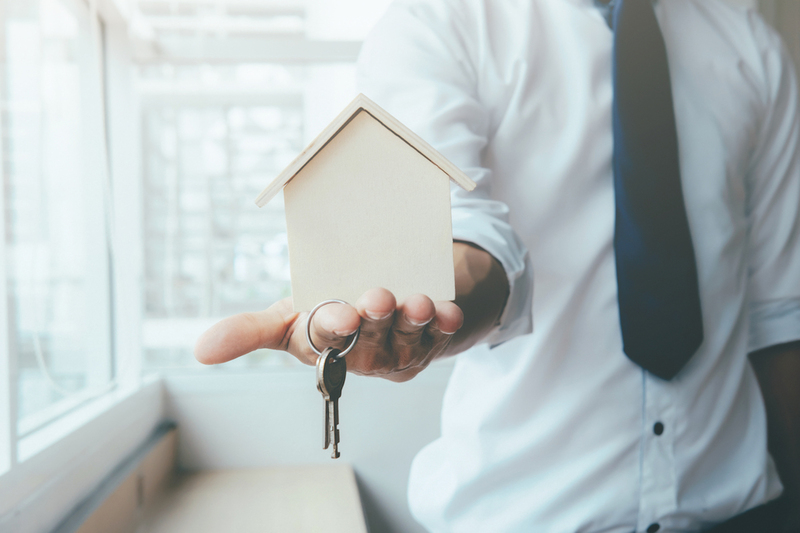 Successful landlords are generally either seasoned rental property managers, with experience in each of these areas, or they have access to the services of a team of experts, including property managers, a maintenance crew, a lawyer, and an accountant. Employing a knowledgeable team can help you avoid potential pitfalls. But, experts’ fees can also add up, eating away at take-home profits. You also concede some control, while fully retaining responsibility. Active property management: A rental property is one of the most active real estate investments that you can make. In addition to expertise, you also need to devote time for hands-on management. Once you buy the property, as a landlord, you are responsible for finding tenants, performing background screenings of potential renters, drafting lease agreements, ensuring that tenants abide by lease agreements, overseeing property maintenance, providing timely repairs, evictions, and more. You can hire a property management company to take some of these responsibilities off of your shoulders, but you give up some control and a portion of your profits. Regardless of who manages the investment property, if the manager doesn’t provide repairs in a timely fashion or lets a bad tenant go unchecked, you risk tenants deducting rent, or moving out entirely to a better-managed building. Access to upfront capital for down payment and/or a loan: When it comes to rental properties, the old adage is true: you need money to make money. A rental property investor must be able to produce a down payment for a property (or secure a mortgage loan that does not require a down payment). Some properties, such as commercial office buildings or a multi-family apartment complex, require even greater financing than a single-family home. In general, the smaller portion of the price that the down payment covers, the more interest a mortgage holder pays over time. Additionally, unless you buy a property outright with cash, you must secure a loan with an interest rate that accommodates your expected monthly rental income. High interest rates can eat away at monthly earnings, especially if the property experiences a lower occupancy rate than expected. A real estate investment trust (REIT) is a company that makes debt or equity investments in commercial real estate. REITs were created in 1960 to give individual investors access to invest in income-producing real estate without needing to buy an entire property. REITs offer a passive way to earn potentially sizeable returns from real estate investing. With this passive approach, investors receive the benefit of higher liquidity and less responsibility. REITs can be categorized according to investor access in three ways: private REITs, publicly-traded REITs, and public non-traded REITs. Private REITs generally carry high investment minimums, putting them out of reach for the majority of individual investors. As a result, the majority of individual investors can, in reality, choose between publicly-traded REITs and public non-traded REITs. Passive investing: Unlike a rental property, where the success of the investment falls entirely on the investor, a REIT offers a way to invest in real estate for those who would rather have fewer hands-on obligations. Passive real estate investors generally only provide the capital for an investment and let professionals invest on their behalf. No expertise needed: Because REIT investors do not manage their own investments, they do not need proficiency in real estate or finance in order for an investment to be successful. However, an investor should understand the potential risks and benefits of an opportunity before investing. Low investment minimums: REITs are one of the most accessible ways to invest in real estate, largely due to their low cost-of-entry. Investment minimums can vary across REIT types, but publicly-traded REITs and public non-traded REITs carry lower investment minimums than private REITs and active real estate investments, such as rental properties. Where rental properties can range from tens of thousands to millions of dollars in acquisition and operational costs, a share of publicly-traded REITs and public non-traded REITs can often be purchased with a minimum investment of $1,000 or less. Liquidity: Most REITs, particularly publicly-traded REITs, offer much greater liquidity than rental properties. A rental property is an illiquid investment that requires an investor to tie up thousands or millions of dollars into a single property for a long period of time. In comparison, REIT shares can be bought and sold freely on a daily, monthly, or quarterly basis (depending on the type of REIT). Diversification: Unless you own many different properties throughout the country, you probably won’t be able to achieve the same diversification by investing actively in rental properties as is available through a REIT. A REIT can invest in tens or hundreds of properties, which makes the REIT’s success far less reliant on the performance of one or two assets. If a rental property underperforms due to renovation costs or lower than expected tenancy rates, the investment will result in much greater losses for one or a few large active investors versus if the property were owned by an array of REIT investors. Regular cash flow: REIT shareholders earn income from their REIT investments in the form of dividends. Unlike rental properties, which usually provide monthly cash flow in the form of rental income, REIT dividends offer monthly or quarterly cash flow. By law, a REIT must distribute at least 90% of its taxable income each year to its shareholders in the form of dividends. The dividend amount varies from REIT to REIT and the success of their investments. Tax benefits: Beginning in 2018, the typical REIT pass-through business structure opened up a new tax deduction for REIT investors. REIT investors can now claim a 20% tax deduction from their earnings from loan interest and rental payments. Additionally, REITs are able to avoid double taxation at the company level and individual investor level. 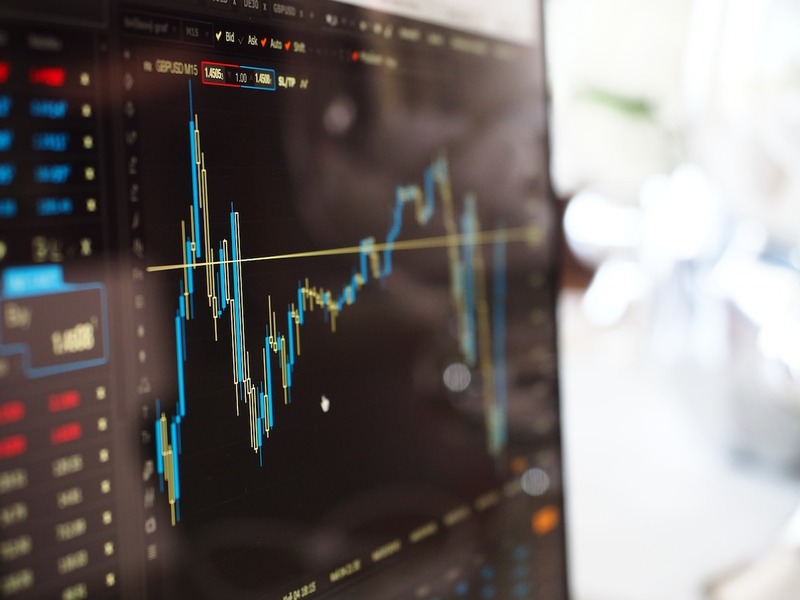 Volatility: Publicly-traded REITs are traded on the stock market, which makes them prone to fluctuate in tandem with the rise and fall of the stock market regardless of whether or not the value of the property owned by the REIT has changed. These changes constantly affect the value of each share. However, it’s important to note that this kind of volatility only affects publicly-traded REITs. As their names describe, non-traded REITs are not traded on an exchange, which means the value of each share is prone only to changes in the underlying real estate. For example, a share in a Fundrise eREIT (a non-traded REIT), does not change in value in response to a stock market spike or fall. Instead, its value changes in response to changes in the underlying real estate it owns. These changes might involve appreciation, sales, vacancy fluctuations, or tenant improvements. Correlation: As mentioned above, because publicly-traded REITs are just that - publicly-traded - the value of their shares is correlated to the fluctuations of the stock market. While publicly-traded REITs can provide a diversified pool of real estate, publicly-traded REITs do not provide diversification to a portfolio of public market investments, such as stocks and bonds. However, because non-traded REITs are not traded publicly, they can provide diversification to a public market portfolio of stocks and bonds as well as a diversified portfolio of real estate. Less control: Rental properties offer investors a great deal of freedom and flexibility, accompanied, however, by full economic responsibility. REITs on the other hand, burden investors with less responsibility, at the cost of control. REIT investors do not have a say in the operation of their investment, but they still share in its returns. This may be an ideal arrangement for a passive investor, an inexperienced real estate investor, or even an experienced real estate investor who does not have free time to devote to rental properties — but it’s a tradeoff that should be fully assessed before you choose to place your money in the hands of other managers. Many investors understand the benefits of adding real estate to their investment portfolios. It can become a valuable stream of cash flow when managed well, creating a reliable income source and furthering financial freedom. Before beginning, it’s important to assess which option maximizes return potential for your particular expertise and commitment of time, money and responsibility. Do you have the time, expertise, and desire to take an active role in making decisions about your property, as in the case of rental property ownership? Or would you rather play a more passive part, opting to invest in a professionally managed option, such as a REIT? How much capital do you have available for your initial investment? Can you afford a large down payment, or are the lower cost of REIT shares more feasible? If you’re interested in a REIT, which kind is best suited for you? Do you want a publicly-traded REIT, so that your investment correlated to the stock market, inclined to benefit from its spikes but also liable to suffer from its volatility and falls? Or would a non-traded REIT, like Fundrise’s eREIT, protected from the changes in the stock market, better suit your needs? No matter what you choose, investing in real estate is an excellent way to strengthen your financial freedom and stability. While real estate has been the investment asset of choice for top-tier investors for decades, the emergence of new technology and regulations has opened up access to the benefits real estate like never before. Both the 1031 Exchange and the Opportunity Fund offer tax advantages to real estate investors, which one offers investors the greatest number of tax advantages with the greatest magnitude? We examine the differences between the two investment options to determine how they stack up against one another.